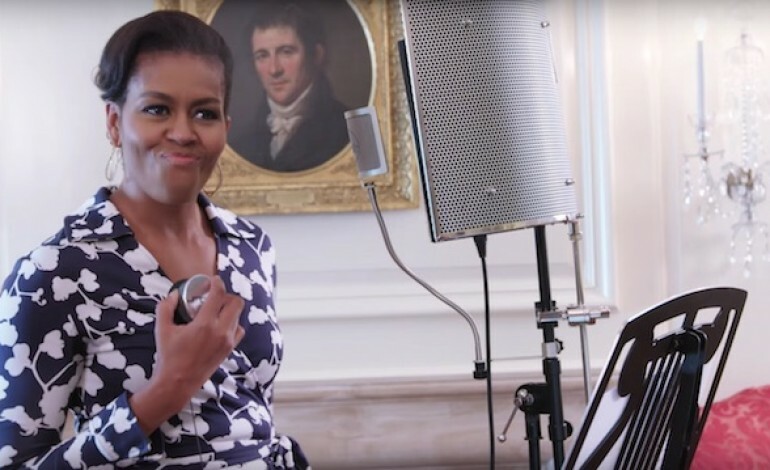 Michelle Obama seems like a pretty cool lady, and her latest endeavor proves no different. The First Lady teamed up with SNL’s Jay Pharoah and CollegeHumor to collaborate on a video titled “Go to College”. The video is part of Michelle Obama’s Better Make Room, and Reach Higher campaigns. The video is comical, yet relays a message that is serious and dear to Michelle Obama’s heart. It is no secret that The First Lady is heavily involved in the educational aspect of society, and making sure that a valid path to knowledge is obtainable to all. The video’s main message is to making sure everyone knows how important college is, and what paths a succesful college career could possibly lead you down. Of course this is a video featuring Jay Pharoah, so you know it is going to be funny and make people want to see what this duo has created. It is almost like a hilarious spoof of a rap video, but with content all referring to college and education. It’s pretty awesome to see Michelle Obama cut loose in the name of education. It is an increidbly witty approach for reaching the demographic that Michelle Obama is trying to connect with in regard to school. Michelle Obama has made it a point to let her position in The White House, be the one that is heavily involved in the importance of education. She has made it a mission of hers to relay the importance of a steady and rewarding education, and the many opportunitues that come along with that education. She has devoted her time to projects such as the Reach Higher initiative, whose prime focus is engaging students to continue their academic journey beyond the walls of high school. CollegeHumor is a website created by two high school friends and delivers to the web, a variety of comical and off-the-wall articles, according to their website.